An enchanting songstress, Jennifer weaves her smokey jazz vocals and lively swing stylings with class, glamour and sophistication. 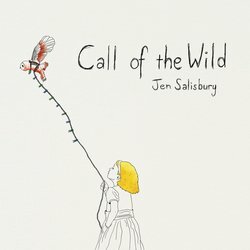 Jennifer Salisbury’s story of overcoming self-doubt and setting the creative genius within her free to bewitch audiences all over. It’s hard to believe that there was a time in Jen’s life that she was not gracing a local stage somewhere. Thankfully for us, Jennifer’s fascination with jazz powerhouses like Ella Fitzgerald, Doris Day and Julie London inspired her to give it a shot and looking at the results from here, we could not be more excited she did. Jennifer has certainly made her place in the Melbourne jazz and swing community. With a plethora of options available to anyone wanting to be enchanted by the elegance of her artistry. As a songwriter, vocalist and band leader Jennifer ensures that there is enough enchantment for all. This track is a blues style arrangement which describes the feeling of going somewhere that you don't want to go, or doing something that you don't want to be doing. It's about dreaming for a time when you can do something meaningful, but it currently feels so out of reach.